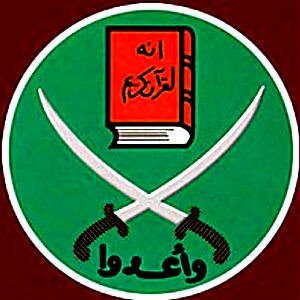 December 13, 2013 CAIRO (Reuters) – With many of its male members jailed, Egypt’s besieged Muslim Brotherhood is calling up an unlikely reserve force against the army-backed government in the conservative Arab country. At more and more protests, female members of the Islamist movement can be seen taking on security forces mounting one of their fiercest crackdowns against the group. One newspaper front page captured the determination of the Muslim Brothers, and sisters, to survive. A photograph showed a woman wearing goggles and a gas mask over her headscarf throwing an object at security forces as she and two women were engulfed in a cloud of teargas. Beside the photo was an image of the interior minister, one of the officials who have vowed to wipe out the movement. ‘We are doing this for our classmates who are in jail and our friends who were martyred,’ says Al Shaimaa Hussein, 21, a media student at Al-Azhar University, the epicentre of student protests against the army. The university is the Sunni Islamic world’s seat of learning, and usually toes the Egyptian government line, but some students are sympathetic to the Islamist cause. Police have killed hundreds of Islamists. They have also arrested top Brotherhood leaders, including Mursi, decimating what was once the most organised political force in Egypt. But going after women members could pose a dilemma for the state. While much of the public has supported tough security measures against the group, societal norms in the majority-Muslim country may cause some to chafe at action against women and girls, even those protesting against the revered army. In April, the GMBDW discussed an article by the Carnegie Endowment for International Peace titled “The Rise of The Syrian Sisterhood” that looked at the increasing role played by women in the Syrian Muslim Brotherhood. In July 2011, Egyptian media reported that the “Muslim Sisterhood” had held its first conference in 60 years.